Spring is the season of new beginnings. You know it’s always the perfect timing for change when spring comes knocking on our doors. 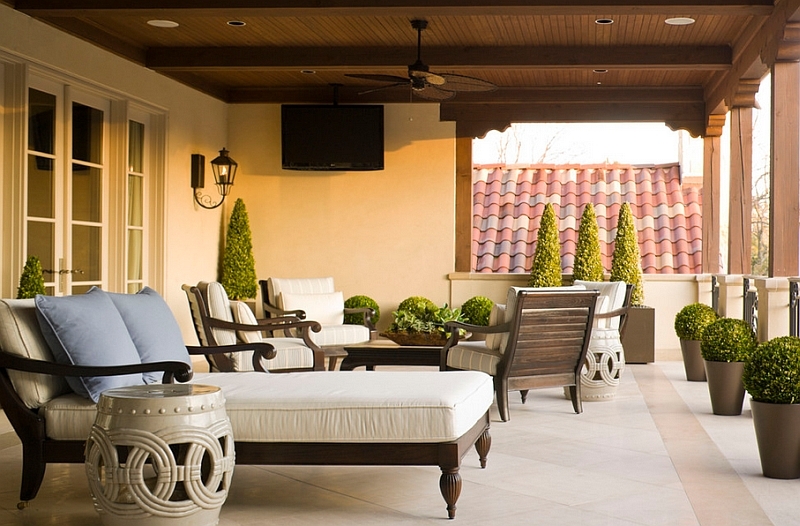 Since our houses are where we spend most of our time; Spring is the perfect season to start a complete facelift to transform our houses, our lives and bring color into our homes. And because our lives are always changing and moving forward, our houses should reflect that change and speak our minds. Which is why we decided to bring you here 12 home decoration hacks that all spring communities around the world do to reflect the bright colors and warmth of the Spring season into their houses. 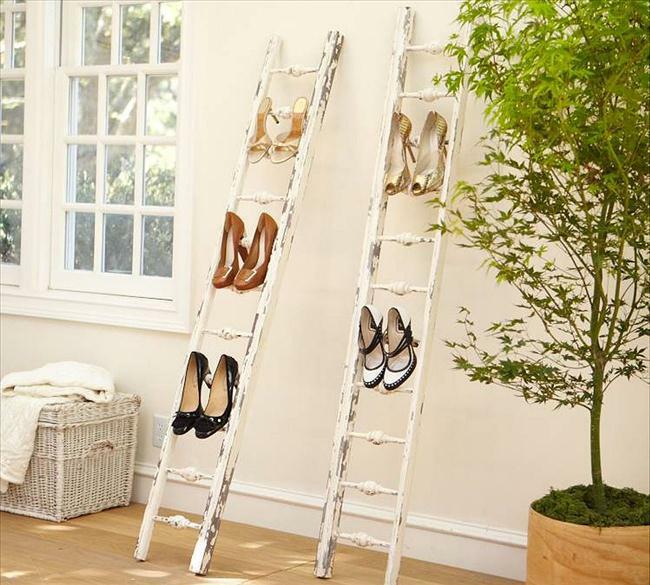 If you have an old ladder that has no use, then you should definitely consider re-purposing and use it as a shoe rack. Instead of buying a storage unit for your shoes that take up more space, be smart and use what you already have. All you need to do is just find a corner to place your ladder and start organizing your shoes, one pair at a time. Why fully paint a wall when you can go crazy and paint only half! Partially painted walls are a trend these days as they give the illusion that the room is much bigger with a higher ceiling. You can paint the wall with different shades of the same color or you can go wild and paint two different colors. This is the perfect trick if you want to give your space a different and refreshed look. Give your blank walls a facelift by hanging mirrors, art work, picture frames or even plates. 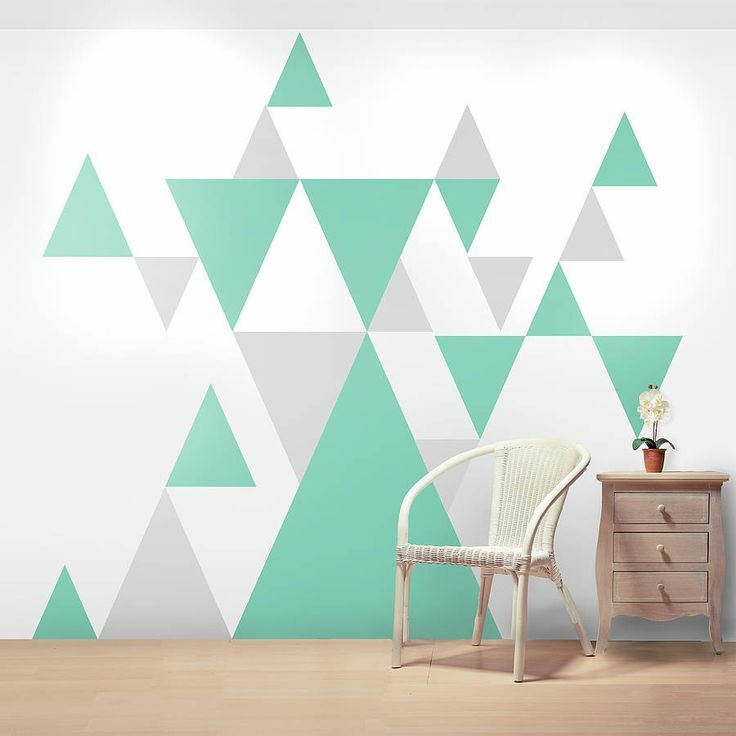 Dress up your walls and add some sparkle to a plain wall. The sky is your limit when it comes to decorating a blank wall and giving it a cool effect. Wall art is guaranteed to bring a little quirkiness to any room. This trick works perfectly for small spaces to give them a brighter and fresher look. An inexpensive transformation that will instantly make your space look cleaner and sparkly. Painting floors have the ability to change the mood of any bland decor. Statement tablecloths are excellent ways to spice up a room and add a dash of color and style to your dining table. Whether you go for a patterned tablecloth or a bright-colored one, statement tablecloths will surely extend the life of your dining table. Wallpapers can be used to decorate your staircase and give it a makeover. Another usage is to decorate the inside of a cabinet and give it a new look. You can also replace your old wallpaper for new ones. Changing your wallpapers are what interior designers like to refer to as “small change that makes a big impact”. If you want to refresh your space with minimum costs, then update your drapes and your space will look much brighter and refreshed than before. Just make sure to choose a color and a fabric that doesn’t match the furnishings fabric or color to give your space an eclectic vibe. Mixing and matching between different patterns will add a playful feel to your room. This trick is an excellent way to add interest, color, and depth to any room. Just make sure while doing so to mix patterns and match colors so as not to make your space looks odd and unappealing. Move your furniture a few inches away from the wall and make it float to make the room look bigger. 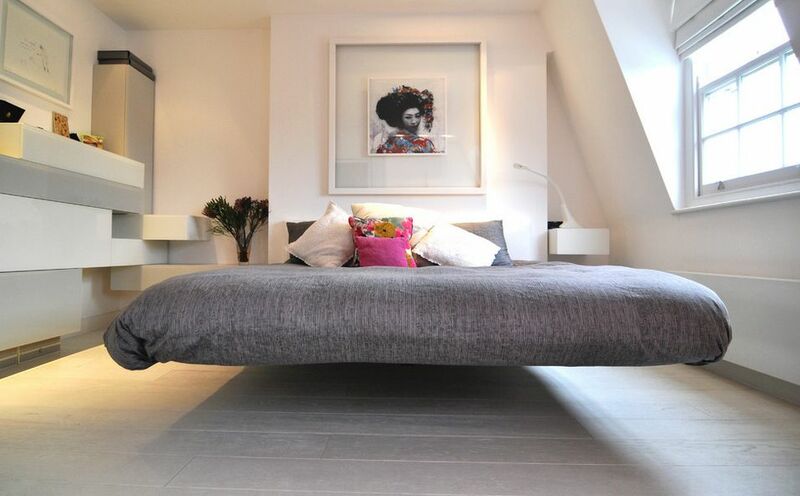 Floating furniture is a smart way to make the best use of your space and give a new look with simple yet effective changes. Floating furniture also creates a more intimate and inviting space that encourages people to mingle and open conversations. Whether you opted for same chairs but different colors or mismatched chairs and same fabric or mismatched colors and fabric, this trend will give your dining room a fresh, eclectic-chic look. Create a more casual ambiance and make your dining area much more inviting and appealing using the mismatched chairs trend. Another simple home decoration hack is to add indoor houseplants. Plants and flowers are a perfect choice if you want to brighten up a room and give it a livelier feel. You can create your own indoor garden and bring life into your home. And always remember that plants also decrease stress and remove indoor pollutants. Natural light is way much better than indoor lights. To invite more natural light into your house for longer times, try using breezy curtain fabrics that invite light in such as silk organza sheer drapes or printed cotton.